In 2015 Canadians welcomed the first groups of Syrian refugees into the country. Since that time more than 40,000 Syrians have settled in Canada, including many here in the Hamilton, Halton and Niagara area. These newcomers – and some 300,000 others who arrive each year as immigrants – need help in finding housing, jobs, language training and other services that will allow them to become fully integrated, self-supporting members of our communities. In Halton Region the planning of settlement services is led by a community partnership called the Halton Newcomer Strategy (HNS). 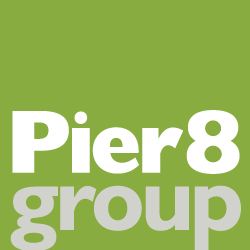 Pier 8 Group has been working with HNS since 2012 to design the reports and newsletters that help it to communicate with the public, the media and a host of government stakeholder agencies. Our most recent project is the Halton Newcomer Strategic Plan 2017-2020, which sets out the initiatives and actions that the organization is undertaking to achieve its settlement goals. In the spirit of Canada 150 our design solution incorporates Canada’s maple leaf and the images of individuals and families who benefit from the programs and services that are offered to newcomers of all ages, races and ethnicities. Pier 8 Group is proud of the work we’ve done in Halton, Niagara and other communities to promote immigration, workforce development and newcomer settlement. Helping Canadians to understand how immigration benefits our country is an important responsibility. At a time when some people want to build walls to keep newcomers out, we prefer to build bridges of understanding that bring Canadians and future new Canadians together. Is the skating rink open? Pandas, Penguins and Pigeons, Oh My! Are you ready for Google’s SSL apocalypse? What’s the buzz on Digital Bees? Categories Select Category Advertising Digital Marketing Graphic Design Public Relations Research Web Design Websites What’s Up?